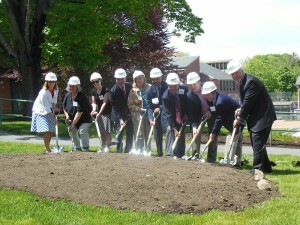 Groundbreaking: (far left) Colleen McKenna and (far right) Michael B. Alexander, president of Lasell College, join as the group puts shovel-to-dirt. 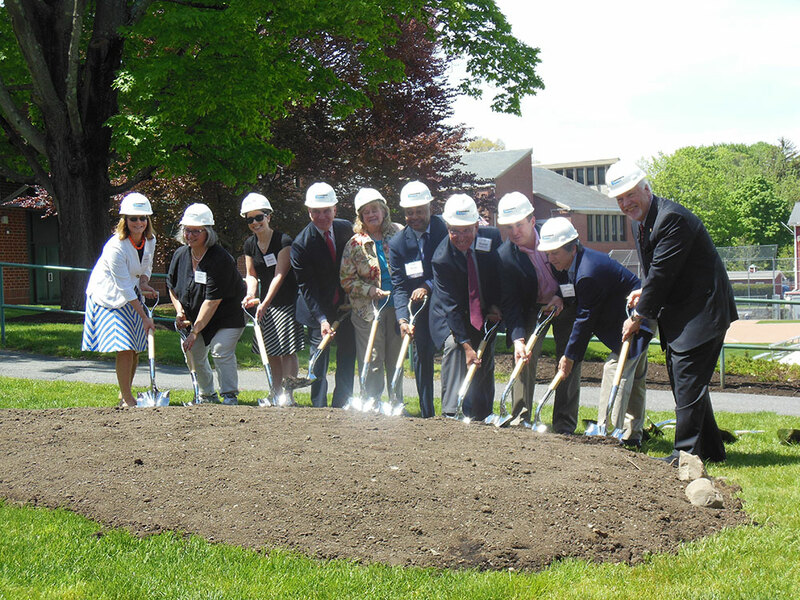 It’s an exciting time at the Newton, Massachusetts, institution Lasell College where they broke ground for the construction of a new academic center on Saturday, May 14. This private, liberal arts college is making a significant campus investment with a 45,000 sf new and renovated facility that will optimize classroom sizes, create flexible spaces – inside and outside of the learning environment – while adding state-of-the-art science labs. 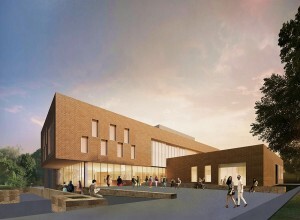 The academic facility will be located between Wolfe Hall and Wass Hall, with the addition connected to Wolfe Hall (Wass Hall will be razed). Lasell will accommodate classrooms and faculty offices in modular units during construction, which will be completed by December 2017. The exterior linkages among the existing and new buildings will be respectful, yet forward-thinking. 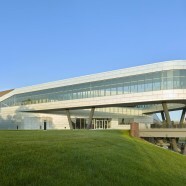 Materials and color palates will be balanced; glass elements will integrate and showcase activities from all viewpoints. Public spaces (lounges, café and bookstore) will visually connect the two structures. “We know learning happens beyond the classroom,” said Colleen. “The purposefully-designed social spaces will foster conversations and interactions that are vital components of the college experience – among students and their peers, and with students and faculty. 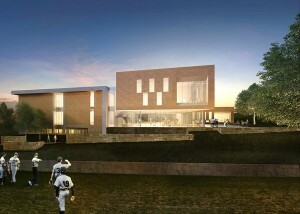 Lasell’s Chief Financial Officer Michael Hoyle, said the new building will enhance the college’s ability to support its connected learning teaching philosophy. 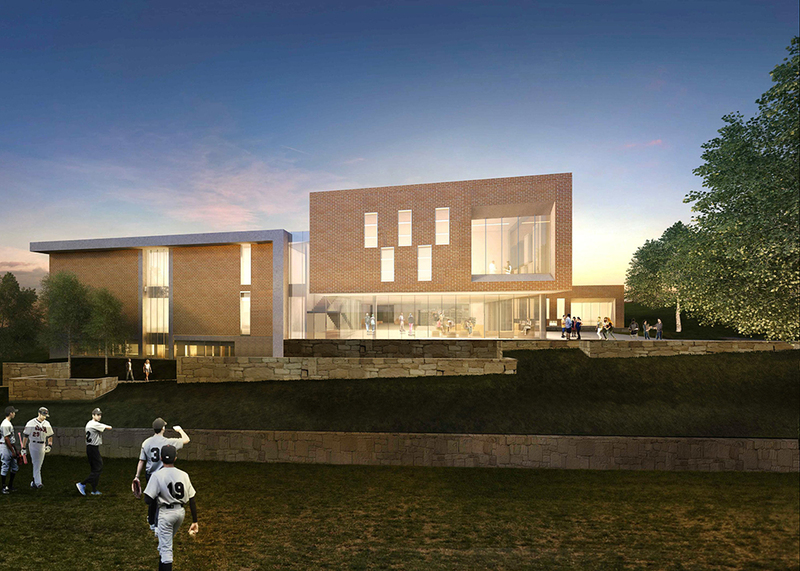 “This new contemporary academic building will allow Lasell College’s students and faculty to continue to advance their respective study in their fields in an atmosphere where they can blend practice and theory into academic action,” said Hoyle. Classrooms will be mostly located in Wolfe Hall, with science labs showcased within glass walls of the new structure encouraging visual connectivity as students study and learn. Outdoor green spaces are embraced with terraces and seating areas. ADA-compliant standards and sustainable design adjustments features will be integrated in the renovation of Wolfe Hall, as well as throughout the new academic building.